Use your iPhone/iPad/iPod as a Controller!! Also, use iPhone Gyroscope to control the Helicopter!! The World First Mobile Phone Control Helicopter, you can use the iPhone/iPad/iPod to flight without the extra remote controller. The TRUE GYRO System Helicopter can be also matched up with iPhone Gyroscope to control flying freely, personally and funny! In addition, Two Front White LEDs and One Back Color LEDs, which you can Switch it ON/OFF from the Mobile Controller. 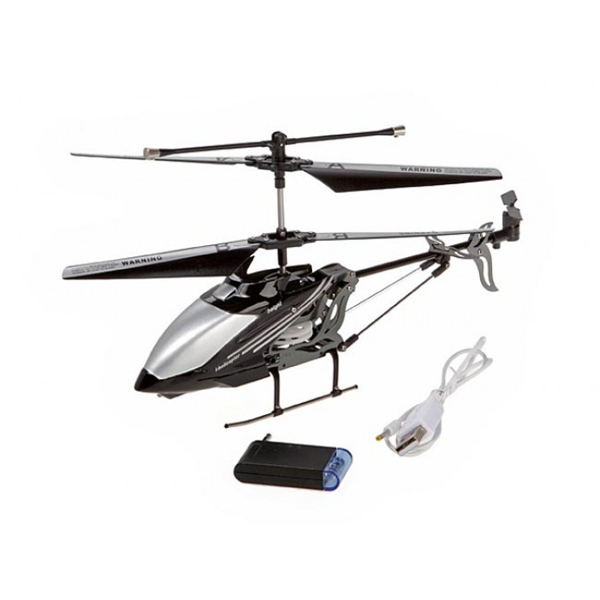 The Rechargeable Helicopter is crafted by Superior Light Weight Metallic body, which provides protective shield and landing gear for the body and provides stable flying experience. Also, the Helicopter can be Fast charging up through any USB devices. It is really convenient for playing around in both Indoor or Outdoor Area. Simply to pick up your iPhone and Flight! !